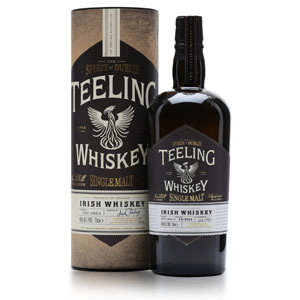 Midleton, makers of Green Spot, Yellow Spot, Redbreast, Jameson, and basically most Irish whisky on the market has fully embraced the recent trend in releasing limited edition whiskies with matching limited edition price tags. Gone are the days when producers would take an entry-level whisky (say, Glenmorangie 10) and finish it in a wine or fortified wine cask (say, Glenmorangie Quinta Ruban) and release it for a few extra bucks. 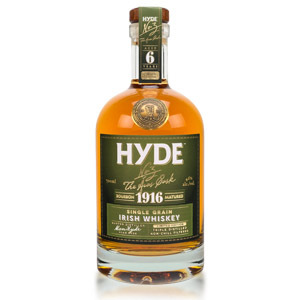 Now, they take that whisky and dunk it in a wine cask and release a limited number of bottles for, oh, say, $100. Okay, I’m being a little unfair. This stuff is clearly of a higher caliber than the finished Glenmorangies, and Green Spot isn’t cheap to start with. Nor, presumably, are empty grand cru Bordeaux barrels from Château Léoville-Barton (for reference, wine from Léoville-Barton runs $30+ per bottle). Midleton has taken the classic Green Spot and aged it for an additional 1 to 2 years in the French oak Bordeaux casks, before bottling at 46% ABV. Now, I’ve had a rough history with whiskies finished in fresh red wine casks (as opposed to fortified wines like sherry, madeira or port). 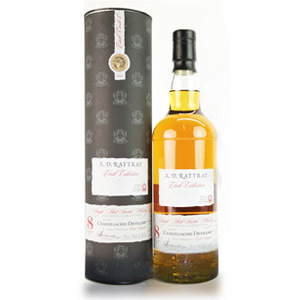 To me, they generally yield an acerbic, tannic, and sour note to the whisky. I was relieved to read positive reviews of this one, however, and decided to spring for a bottle as a treat to myself. I’m a big fan of the giving of treats to oneself. Nose: A duality of bright, fresh, bursting red berries and intense, cooked, stonefruit jam. 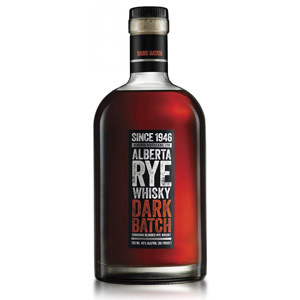 Light and airy, but with a strong foundation of malt and pot-still barley notes (like oatmeal cookies). Sweet coconut cream. Delectable. Palate: Soft and creamy. A bit of tongue burn. Soft grains, malt, toffee, and blonde fudge, with a drizzle of blackberry coulis. Finish: Sweet and dessert-y, more coconut cream (filling), raspberry jam, and vanilla bean ice cream. With Water: A few drops of water reveal some sherry notes – fig and fruitcake – as well as an almost Sauternes-like honeyed grape aroma. Water does not go amiss here, but don’t be heavy-handed lest you drown out some of the more delicate flavors. Overall: Unlike Redbreast, Green Spot focuses on the lighter and sweeter aspects of pot-still whiskey. With the influence of French oak and French Bordeaux, it becomes both ethereal and potently fruity, like an expensive dessert at a high-end restaurant. I’m also very impressed by the total lack of those “red wine finish” notes that I’ve abhorred in other fresh wine-finished whiskies. 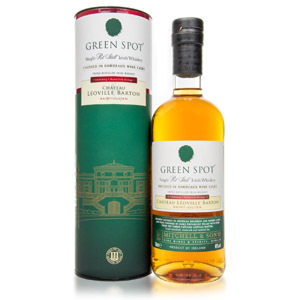 Perhaps the already partially-sherried nature of Green Spot eased the transition to red wine. This is something special to finish off a special dinner, and is actually worth its exorbitant price tag. That’s something I don’t say often.